8/31/10 - WESTFALL TWP - At 17:05, Fire Station & Squad 39 were alerted for a garage fire on Pennsylvania Ave in the area of Price Chopper. WIthin minutes, 39-1 Chief Koferl arrived on scene and transmitted a 2nd Alarm for a fully involved detached garage with fire extending into the residence. On arrival, Engine 1 deployed a "Blitzfire" to the garage as well as a 1 3/4 line to the 2nd floor of the dwelling knocking down the bulk of the fire within minutes while E-2 supplied from a nearby hydrant. Numerous mutual aid from Box 39-02 assisted on scene with secondary searches, ventilation and overhaul. 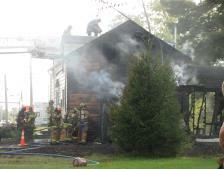 1 Firefighter sustained a minor injuray and was treated at the scene. All units returned to service at 19:45. 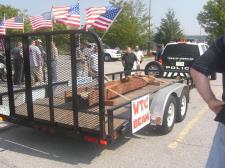 9/2/10 - WESTFALL TWP - Escorted by the Town of Deerpark Police and the City of Port Jervis Police, an 11 1/2 foot steel beam from the World Trade Center made its way north from NYC towards its new home at the Deerpark 9-11 Memorial. After making a stop at the Westfall Town Center, a contingent of Tri-State Area Fire Departments, Law Enforcement Agencies and Town Officials joined in the procession to Deerpark Town Hall. 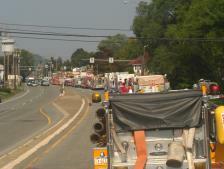 Local residents along the route lined the streets holding American Flags to pay tribute. 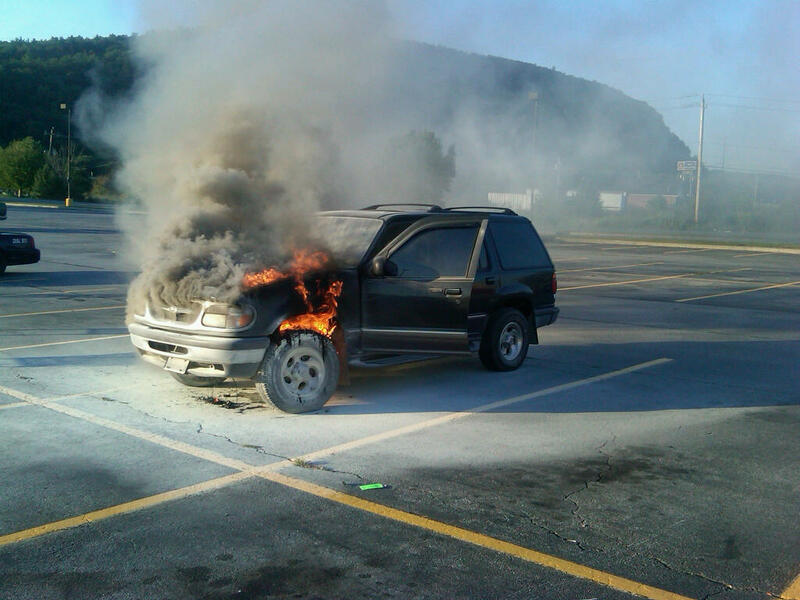 9/6/10 - WESTFALL TWP - At 18:24, Both Fire Station & Squad 39 were alerted for a possible vehicle fire near the K-Mart store in the Westfall Town Center. 39 Engine 1 and 39 Tanker arrived to find a working fire in the engine compartment of a Ford SUV. Crews deployed a handline and knocked down the fire in minutes. Units on scene were assisted by EPRPD and Squad 33. 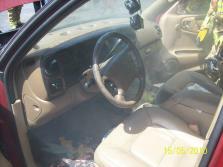 6/9/10 - WESTFALL TWP - The Westfall Twp. Vol. 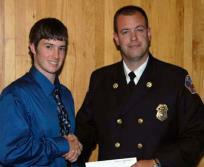 Fire Department proudly presents the 2010 Irving Hulst Memorial Scholarship to Patrick Teehan. 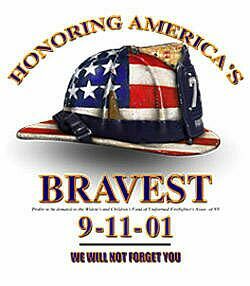 Patrick is a 2010 graduate of the Delaware Valley High School as well as volunteer Firefighter / EMT with the Milford Fire Department. Patrick will be attending the Luzerne County Comm College majoring in Paramedic Studies. Congratulations all of the 10' DVHS Graduates. 7/10/10 - PORT JERVIS, NY - On Saturday, The members of Station 39 participated in the Port Jervis Fire Departments 160th Annnual Inspection Day Parade. For nearly a month, members spend countless hours preparing the apparatus and equipment for inspection. Twenty members took to the parade route led by our professional ROTC color guard who traveled all the way from Camp Henlopen in Lewes, Delaware. Congratulations to the parade crew for a Best Appearing Apparatus Over 10 years Trophy for Engine 2 and Best Appearing Non-Regulation Color Guard Trophy. 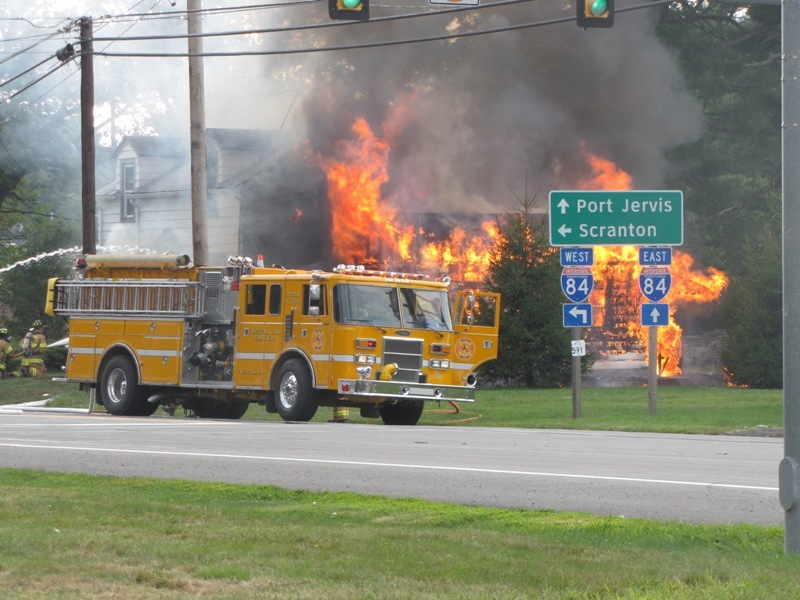 5/15/10 - WESTFALL TWP - At 12:05, Both Fire Station & Squad 39 were alerted for a vehicle fire on Route 6 & 209 near the I-84 off ramp. 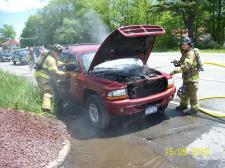 Units arrived to find an SUV with a smoldering fire in the engine compartment. 39 Engine 1, Tanker and A-398 arrived shortly after the dispatched and made quick work of extinguishing the fire. All units returned to service at 12:52. 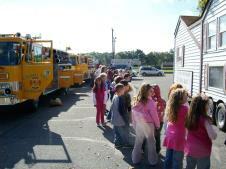 10/7/10 - WESTFALL TWP - Members of the Westfall and Matamoras Fire Department's participated in the 2010 Fire Prevention Week by visiting the students of the Delaware Valley Elementary School. Nearly 300 children received a tour of the fire apparatus, lessons in fire prevention, proper use of the "911" system and were able to crawled through the Pike County Fire Federation's "John J Kurz" Smoke House.